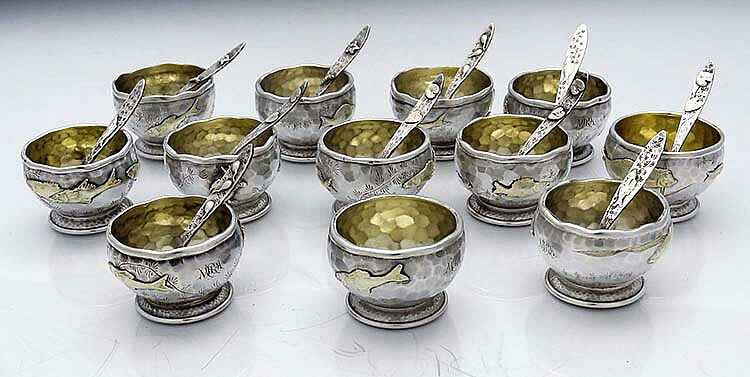 A set of twelve hammered and applied Tiffany sterling silver individual salts dated 1879 with eleven salt spoons. 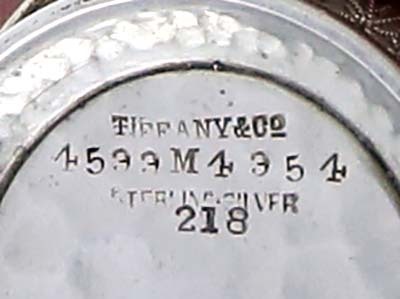 All have French control marks. Pristine condition. 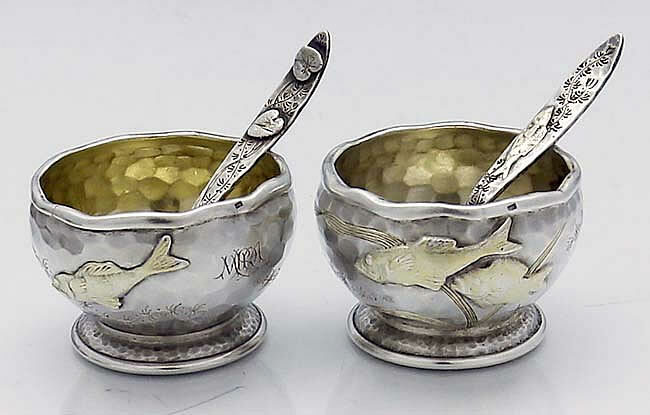 Engraved with seaweed and applied with crabs and gold washed fish. Interiors gold washed.